The final vessel has been named in a series of 13 chemical and product tankers ordered by Stena Bulk at the Guangzhou Shipbuilding International (GSI) shipyard. 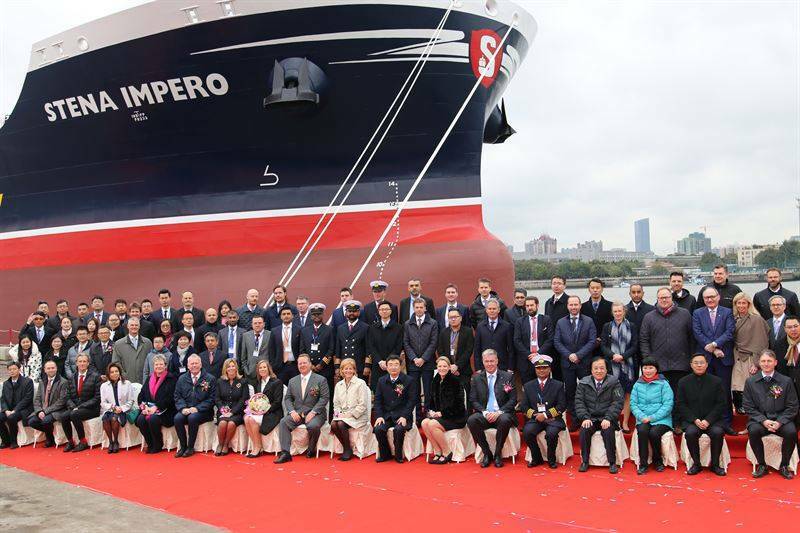 The 50,000 dwt MR tanker Stena Impero was named on Wednesday in Guangzhou, China, completing a series of newbuilds ordered at Chinese shipyard GSI in 2012 for SEK 4 billion ($508 million). Stena Impero (length: 183 meters, beam: 32 meters) is scheduled to be delivered to owner Stena Bulk on February 7, after which the vessel will make its maiden voyage carrying a cargo of vegetable oils from Asia to Europe and joining its 12 delivered sister vessels in the transport of refined petroleum products, chemicals and vegetable oils. 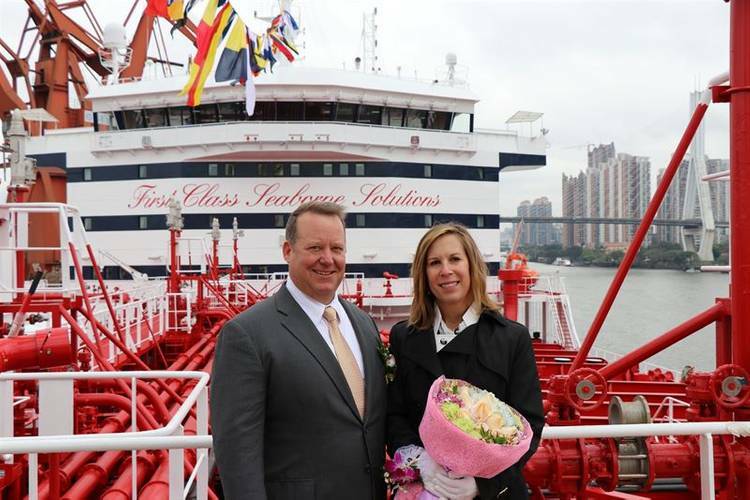 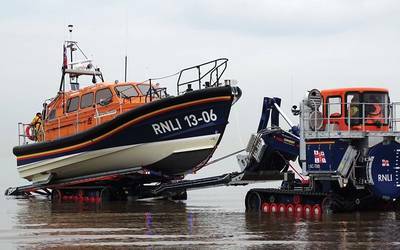 “It was exactly three years ago that we took delivery of our first vessel in the IMOIIMAX series and the vessels have performed beyond our expectations. 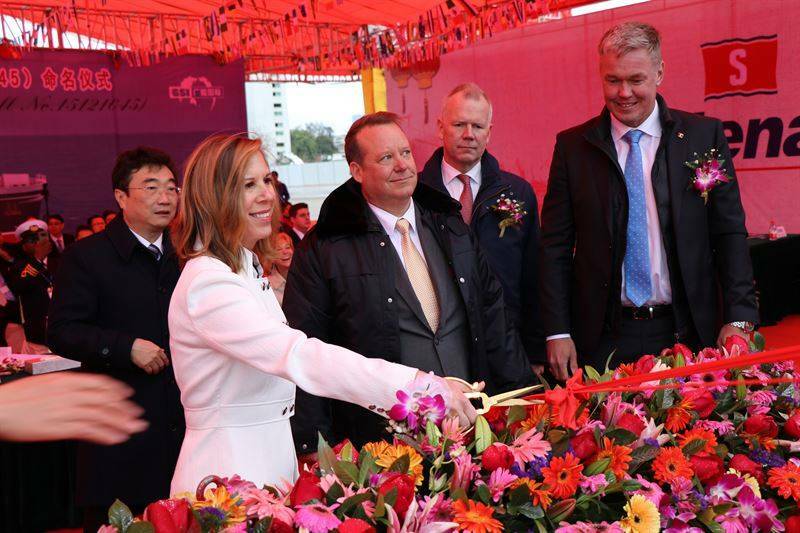 Both the technical and the commercial concepts have proved to be very successful and have set a new standard for cargo efficiency and bunker consumption,” Hånell said. 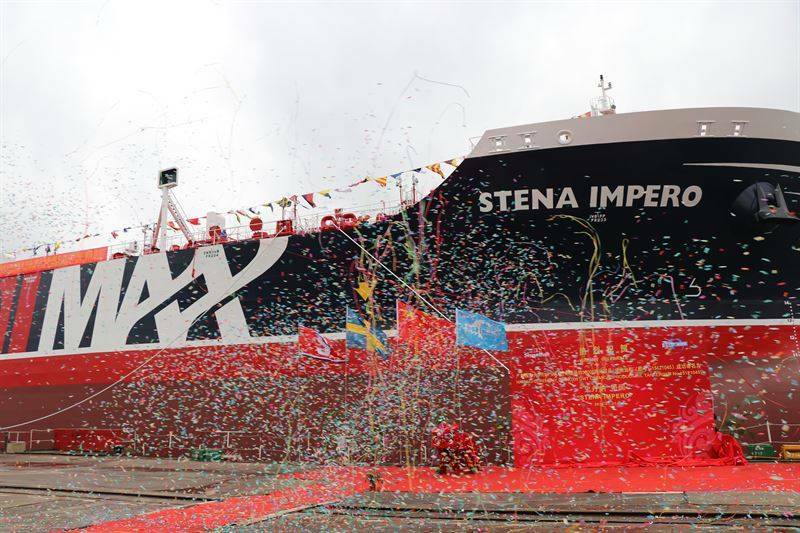 The 13 tankers in the series are of the IMOIIMAX design concept developed by Stena Bulk and Stena Teknik together with GSI. 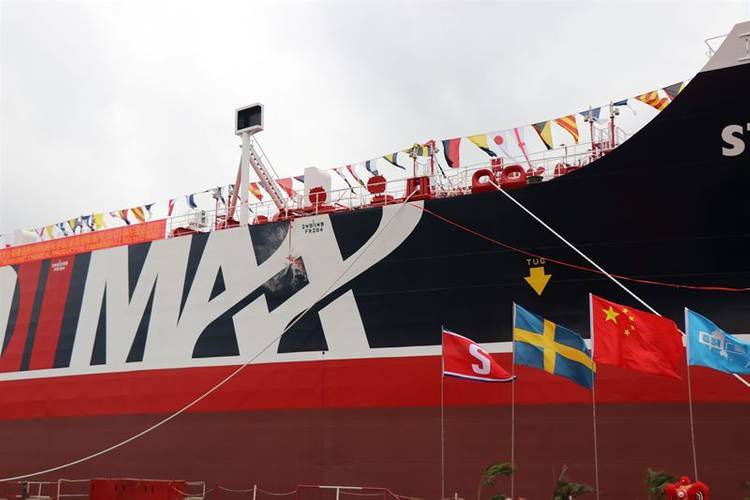 An IMOIIMAX tanker has 18 separate tanks (3,000 m3/tank), which provides for cargo flexibility and combination. 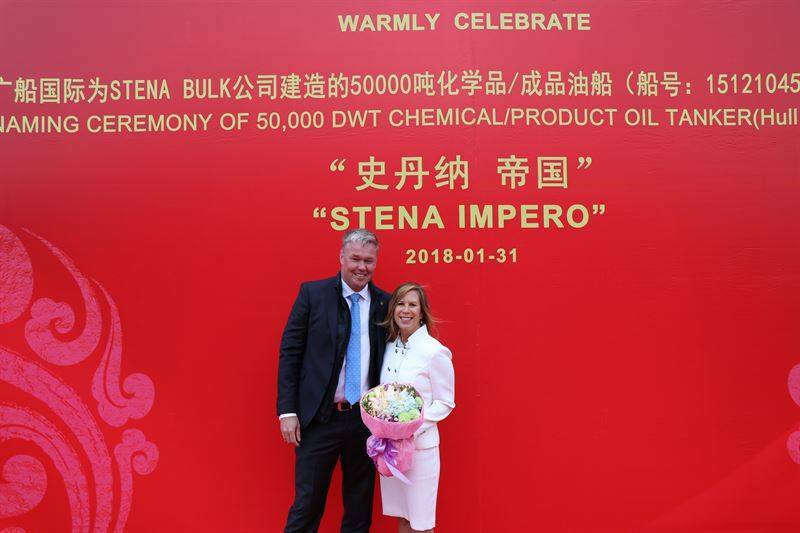 The tanks are coated with Jotun Flexline, which means they can be easily cleaned and used for other cargoes to quickly switch between different markets, Stena Bulk said.